the ultimate banger rally experience! 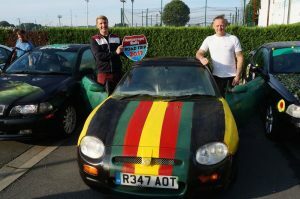 Fancy the Cannonball Run or Gumball Rally in 2019. Put off by the cost! Take part in our great European rally, a cheap European rally for all. Bring a banger or classic or car of your choice. Do it for charity if you wish and make it a road trip around Europe to remember forever! © Copyright Motoscape Ltd 2005 - 2019. All rights reserved. Hours: 7 days a week between 08.00 a.m. and 9.00 p.m.
Psssst... There's still time to sign up for our 2019 banger or classic car rally events... what are you waiting for?